Superstars of the present and future will be well represented on Saturday, April 11 at Barclays Center in Brooklyn as a full undercard of Olympians, prospects and future stars hit the ring looking to impress the Brooklyn crowd. The exciting undercard features Olympic Gold Medalist for the Dominican Republic Felix Diaz battling Brooklyn-born Gabriel \”Tito\” Bracero in a 10-round super lightweight contest. 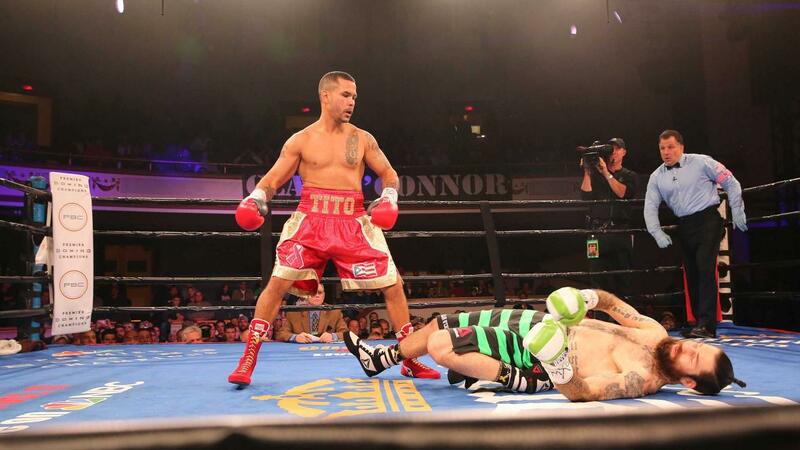 Plus, the return of Brooklyn\’s own Luis Collazo, who will compete in welterweight action. Also fighting at Barclays Center are a pair of 2012 U.S. Olympians, as undefeated prospect \”Sir\” Marcus Browne takes on the experienced Aaron Pryor Jr. and Browne\’s Olympic teammate Errol Spence Jr. makes his Brooklyn debut against once-beaten Samuel Vargas. 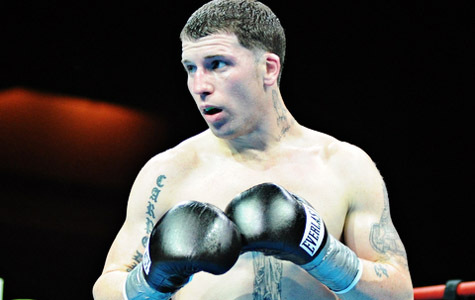 Fresh off his dominant 10-round unanimous decision victory over once-beaten former world title challenger Dmitriy Salita before a sold-out crowd at the Aviator Sports & Events Center in Brooklyn, on November 9, world-rated contender Gabriel “Tito” Bracero (24-1) is hoping to land a significant fight in 2014. New York, NY (11/9/13) – Earlier tonight before a boisterous sold out crowd at the Aviator Sports and Events Center in Brooklyn, NY, DiBella Entertainment presented the latest edition of its popular Broadway Boxing series. The special-edition Saturday Broadway Boxing card was entitled “Battle for Brooklyn” and was headlined by Brooklyn’s fan-favorite welterweight contenders Gabriel “Tito” Bracero and Dmitriy “Star of David” Salita. They grew up on opposite sides of the County of Kings, and come from completely different spectrums of life. One an Orthodox Jew and the other a Puerto Rican-American, who grew up getting in trouble with gangs, eventually serving a six-year prison sentence. They each took to boxing at a very young age, and a matchup between the two has been talked about since both were competing in the NY Golden Gloves many years ago. On November 9, their worlds will finally collide when Gabriel “Tito” Bracero (22-1, 4KO’s) and Dmitriy “Star of David” Salita (35-1-1, 18KO’s) square off in a 10-round crossroads welterweight showdown at the Aviator Sports and Events Center in Brooklyn, NY. The much anticipated bout is being promoted by DiBella Entertainment, in association with Star of David Promotions, and will be the feature bout of the evening on this special-edition Saturday Broadway Boxing.